Hebrew was reintroduced as a spoken language in the 1880s. Since then, it experienced an accelerated process of revival. The shift from the written form to movable type was a hastened and interrupted one and did not allow for refinement and distillation of the letterforms. Setting type in the Hebrew script was and still is a frustrating experience. Not only there is a shortage in typefaces which sufficiently address specific Hebrew script issues, but the few that are available mostly consist of a single regular style, accompanied by a small number of weight variations. 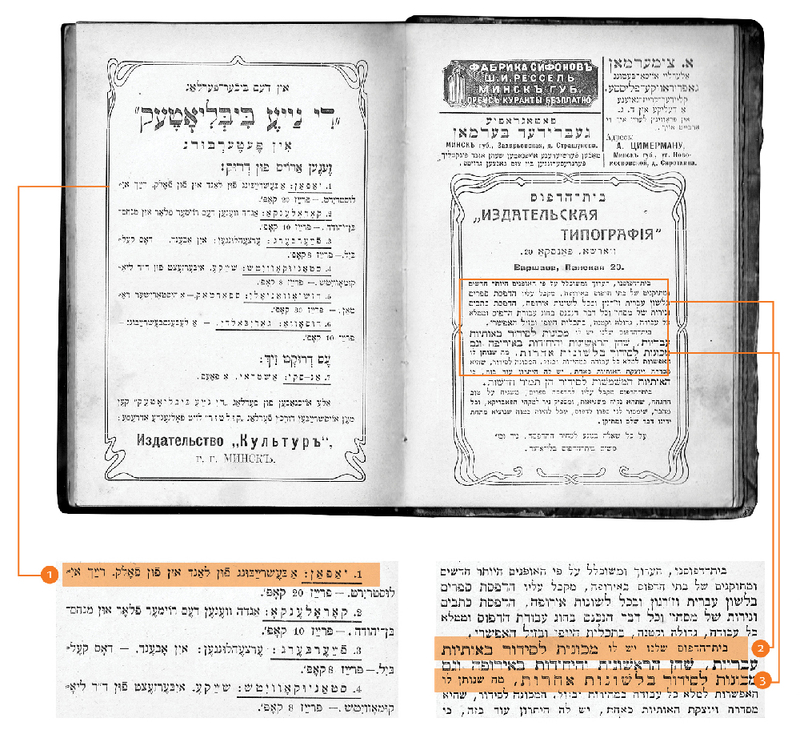 So, what is a Hebrew typesetter to do when trying to create differentiation within a text? I remember how pleased I was when I found a book published in 1905 in Minsk. In it I spotted one spread that seemed tailor-made to answer my question. The typesetter used different typefaces, different sizes, increased letter spacing and underlining. 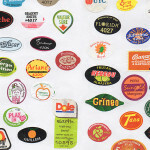 These were amongst the popular typographic solutions throughout the 20th century. A spread from the book printed in 1905 in Minsk showing the various ways to handle word differentiation and emphasis without a typeface family: 1. Underlining a word. 2. A different typeface, in a different size. 3. Increased letter spacing. As I carefully flipped through this old book, my thoughts took a less encouraging turn: is it possible that nothing has significantly changed in Hebrew type for over a century? Should it have changed considering the technological advancements surrounding us? Or perhaps in light of the history and the cultural contexts a change shouldn’t be expected at all? 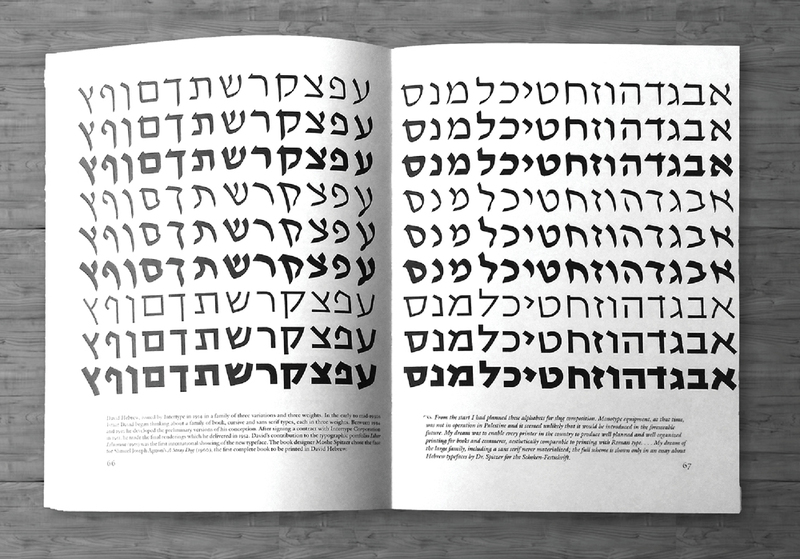 Exploring contemporary Hebrew publications shows Hebrew typographers today use the same type-acrobatics that were used long ago in an attempt to make hierarchies clearer to their readers. Without the existence of comprehensive type families, one uses the available types and combines them, be it metal or digital. Examples from contemporary Hebrew publications, using a similar approach to word differentiation and emphasis as the book from 1905 (Tel aviv museum of art​, 2008, 2011). It was during my MATD year in The University of Reading when I first saw this image. It was mind-blowing. I was rubbing my eyes and pinching my arms. I double checked and the caption defiantly said: “David Hebrew … a family of three variations and three weights.” And so my research began. The original ink drawing of the David Hebrew typeface family ca. 1953 as printed in the book “The work of Ismar David” (Brandshaft, 2005. p66–67). The David Hebrew typeface family was designed by the prolific calligrapher, artist, designer, architect and educator Ismar David. 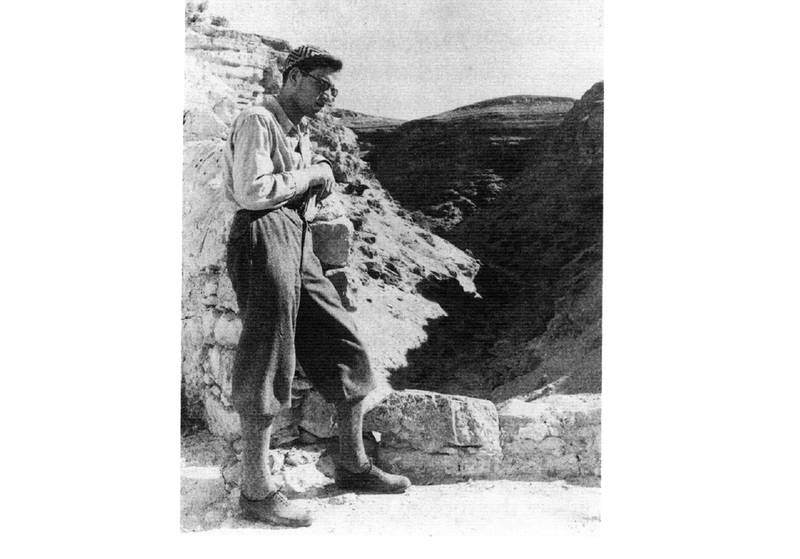 In 1932, David emigrated to Palestine from Germany. Ismar David in Palestine, ca. 1935. From the book “The work of Ismar David” (Brandshaft, 2005. p20). Meanwhile in Israel, the regular style and its weights gained great popularity, offering both high technical performance and relevant atmospheric values. In those days Israel was still in its early stages as a state and David Hebrew answered the demand for new Hebrew typefaces needed to support the increasing production of Hebrew documents. 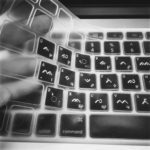 Unfortunately, over the years through phototypesetting and the development of digital type, the innovative features dissipated. The original outlines were distorted and deformed by various versions of the typeface and the popularity of the regular style slowly declined. The italic style was rejected by the local typesetters soon after its release in 1954. Instead they demanded additional sizes and weights of the regular style.4 Typesetters preferred weight emphasis to stylistic differentiation and the use of the italic as a secondary style never became conventional in Hebrew typography. 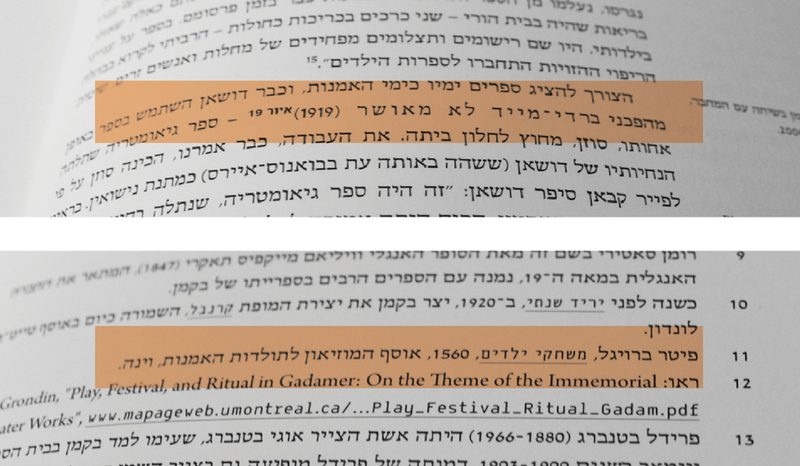 Example from a contemporary Hebrew publication using a different typeface in a heavier weight to differentiate a name within the text (Israel museum, 2015). In 2012, the Monotype foundry released the David Hadash typeface family through an exclusive license with Ismar David’s estate. Helen Brandshaft, who had worked with Ismar David for many years, restored and redrew the typeface family with great acuity and accuracy. 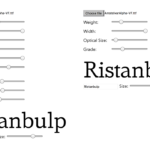 Now, the entire typeface family is available for digital typesetting, and for the first time, it includes the more calligraphic version of the monolinear style. Throughout my research I keep being inspired by Ismar David’s design. 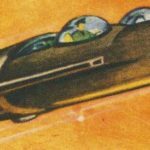 While learning from his work process I find his achievements a unique case study that proves it is possible to innovate and improve the experience of reading Hebrew texts. A rare contemporary example of using the regular style for the main text, the cursive style for word differentiation and the bold weight for headlines (Fachhochschule Köln, 2001). The Hebrew original ink drawing of the letter Alef, in regular, italic and monolinear the styles (Brandshaft, 2005. p66–67). 2 Tamari, Ittai: (1991) Decipherability, legibility and readability of modern Hebrew typefaces. Shani Avni is an independent designer and researcher. Fascinated with letters and the stories they tell, she collaborates with designers and educators in order to expose more practitioners to this subject through workshops and lectures. For her Typeface Design MA thesis from the University of Reading, UK, she researched the first comprehensive David Hebrew typeface family and continues to do so. Shani has been chosen for the 2017 Cary Collection Summer Research Fellowship at the RIT, US, where the work of David is archived. She continues in an effort to make additional historical information available as both an academic and a practical source of reference. Thanks for your comment John, you raise a fascinating point! I would say that part of what led to the popularity of the David typeface was the fact that it represented the spirit of a new generation building its new homeland. It was designed at a time when immigrants were trying to shake off their old image and were writing a contemporary narrative for themselves as more secular people. 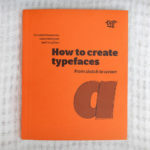 They sought to portray that image in every aspect of their lives, including in the design of typefaces. The other part that contributed to the popularity was the growing production of printed secular matter in the Hebrew Language at that time, and the fact that the available Hebrew typefaces were still extremely limited and did not cater to the needs of typographers.